There's no doubt that the iPhone and iPad sparks people's creativity and have given mobile photography and editing a boost in popularity. There's a tremendous amount of photo apps on the market. To help you pick the photo app that suits your needs beyond the most essential apps in the mobile photographer’s tool kit, I've put together this list of the best and most unique apps for special effects available just now. All these apps save your images at high resolution and are regularly updated by their developers. I've tested these photography apps thoroughly and can recommend each one of them. Apps to help you get the most out of your photos through editing, adding filters and post processing. Transform your photos into artworks in the styles of famous artists: Munk, Picasso, Mondrian, Roy Lichtenstein as well as urban styles, world famous ornaments and patterns. A unique combination of neural networks and artificial intelligence helps you turn memorable moments into timeless art. A tasteful range of texture overlays, original vintage filters, gradients, light leaks, emulsion, grit and grain, analog film filters, elaborate geometric patterns and much more. 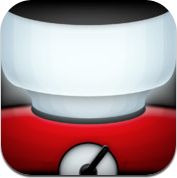 Stackable is available or iPod, iPhone and iPad. Brought to you by by photographer Dirk Wuestenhagen. Apply film grain, textures, tasteful grunge, light leaks and beautiful gradients to your images quickly and easily. Mextures powerful, non-destructive workflow allows you to make changes at any time during your editing process and then save your style as a formula for future use. 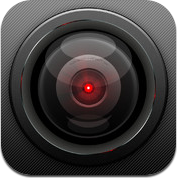 Includes textures from actual 35mm film scans from different cameras as well as formulas created by iPhoneographers. 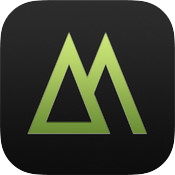 Mextures is available for iPod, iPhone and iPad. This app was the brainchild of photographer Merek Davis from Arizona, USA. Facetune - Powerful and easy to use portrait editing app that helps you create perfekt skin and smiles. Emphasise the best features, remove blemishes and dark circles and bald spots. Facetune is compatible with iPhone, iPad and Android. Are you tired of faux vintage filters, heavily styled "authenticity" and rose coloured glasses? How about decimating your photos with contemporary digital destruction? Deliberately destroying your pixels? "FILM IS DEAD ... And yet many camera apps still insist upon attempting simulations of that long-past era. We say NO to artificial nostalgia, pushing forward in the digital realm with different forms of creative destruction." ecim8 offers a revolutionary approach to photo editing by adding unpredictable glitches, pixelation and intentional data corruption. Create chaotic, experimental and futuristic hi-tech beauty. 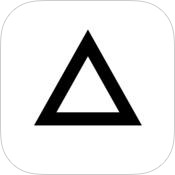 Decim8 is available or iPod, iPhone and iPad. Developed by Kris Collins, Colorado, USA. A simple, powerful tool for blending images. Combine your photos into a photo montage or double exposure. Tools for arranging and masking your photos. Tap and hold on the main image to copy, switch or flatten your images. Image Blender is available for iPhone, iPod and iPad. Developed by Johan Andersson, from Stockholm, Sweden. Add a thrilling, new creative dimension to your photos with this versatile photo editor packed full with a plethora of special effects and filters. Touch up your photo, apply a filter to your entire image or use one of the effects that you paint on with your finger. 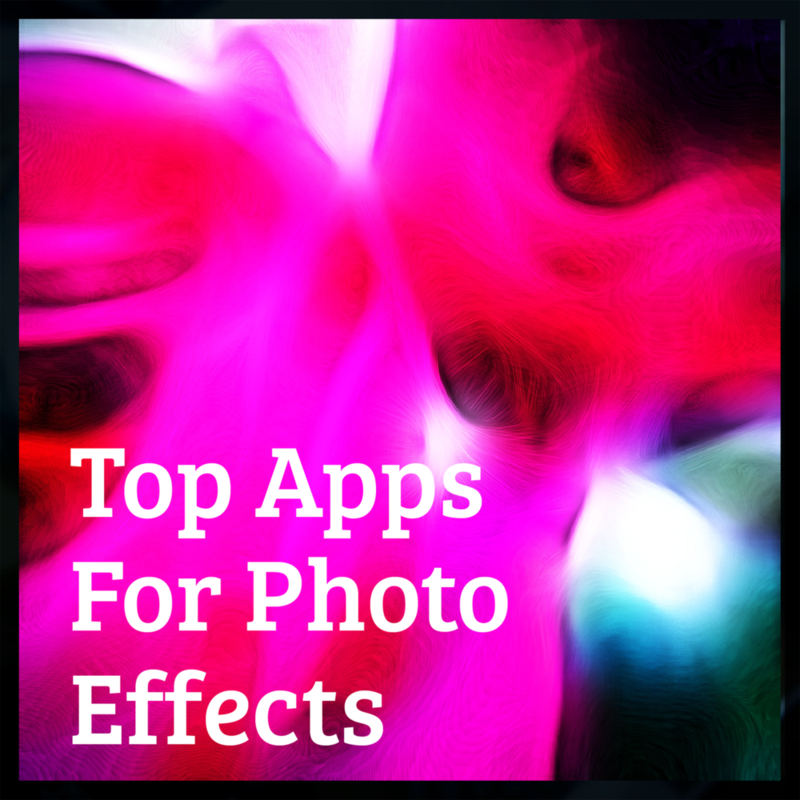 This is a treasure trove of special effects and filters that gives you endless creative possibilities and styles for your images. Notable features: Escher, glass, abstract, painterly, deform and shatter effects. Fluid brush effects. ultiple masks. Save and import masks. iColorama is frequently updated and evolving with new effects. Further reading: Teresita Alonso: on Creating the iPhoneography App iColorama. iColorama is available for iPod, iPhone and iPad. Developed by Teresita Alonso from Sweden.